Looks like Nintendo and Sony have some real competition entering the arena for portable gaming during Q2 (some time after April 1, 2013). 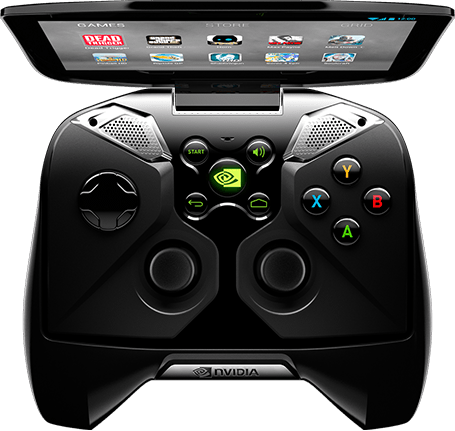 Last night Nvidia announced that they have been working on a new ultra-powerful portable console which features their upcoming Tegra 4 mobile GPU, 4K resolution output via HDMI, a 5 inch 1280×720 resolution multi-touch screen at 294dpi, and the ability to stream PC games over your local area network if your PC sports one of Nvidia’s GTX 250 or newer video cards. Steam’s Big Picture will fit perfectly when streaming from your PC! The new console will be running stock Android Jelly Bean (4.1 or possibly 4.2 by the time it gets released this summer).